Yes, it’s true! The 6th Riverwalk is gonna happen! 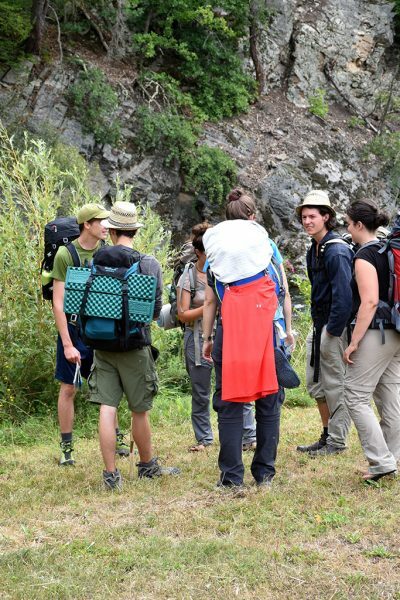 The registration period has officially started: APPLY HERE! 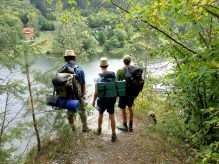 Together we will hike along the Tyrolean Lech – one of the most beautiful and natural rivers in Austria. As every year, this Riverwalk will be unique. 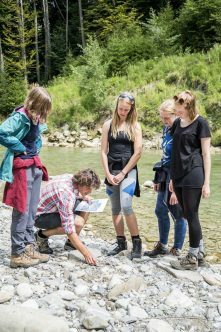 We will see a positive example of how river protection in Austria could look like and what difference people can make if they get active. What? 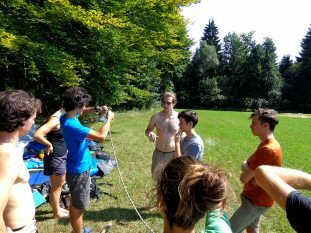 Join 20 young adults (18-30 years old) as we discover the Tirolern Lech by hiking, cycling and rafting. 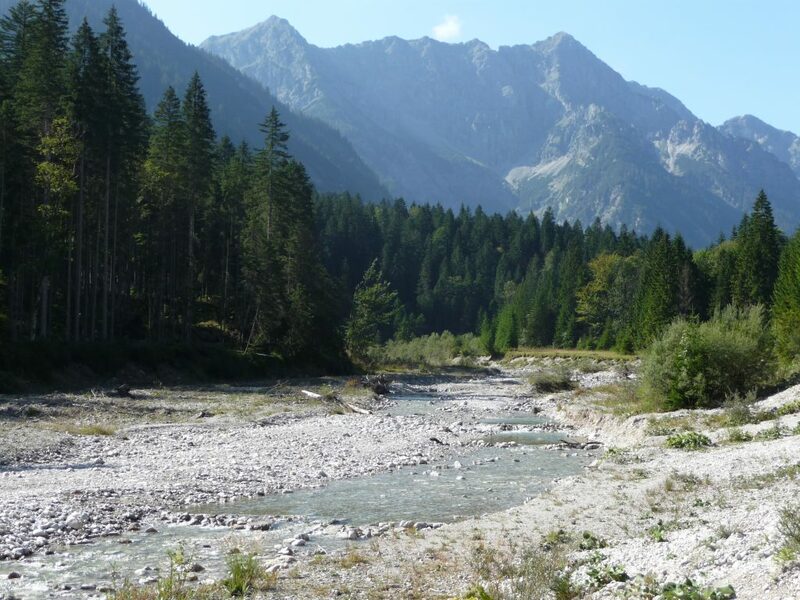 Together we want to set a statement for River Protection in Austria. Why? 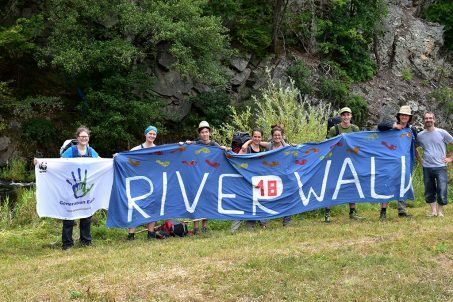 The goal of this year’s walk is to discover, protect and raise awareness of the importance of rivers by seeing a positive example of how river protection could look like. 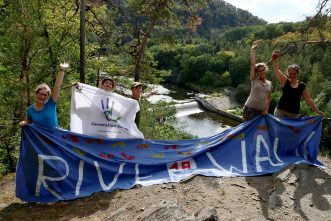 We want to connect and inspire people to keep protecting our last natural rivers. Costs: In order to secure your place in the project, a participant fee of 100,00 EUR will be collected and must be paid within 3 weeks of being notified of your acceptance to the project team. 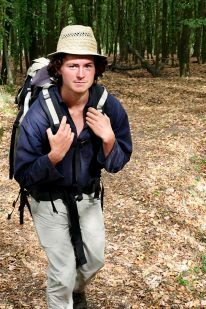 This fee will help cover your costs (camping fees, meals, outdoor activities, etc.). See you at the Riverwalk! 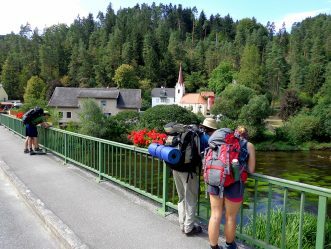 We’re happy to annouce that the official Riverwalk 2018 video following the 13 day journey of the Riverwalk-Austria team as they hiked and biked through the Waldviertel along the Kamp River is now online! 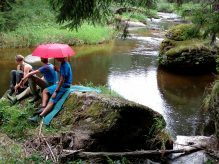 It not only shows images of the time they spent along the river, sleeping under the stars, cooking and living together, walking, biking, swimming but also heavily stresses the urgent need to protect Europe’s rivers! 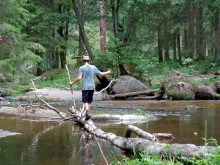 You can help protect Europe’s rivers and waterbodies too! 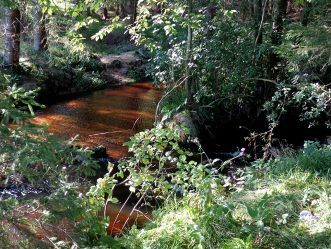 Add your name to the WWF petition and send a strong message to the European Union to keep their hands off the water protection law and ensure that our rivers have the protection needed. 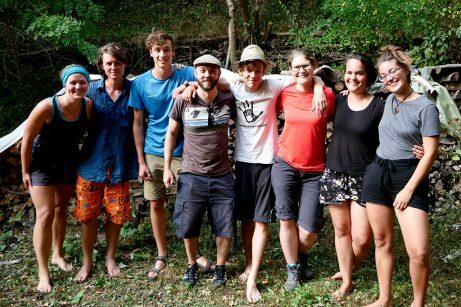 We love them for swimming, rafting, hiking along, fishing, kayaking, meditating, drinking! 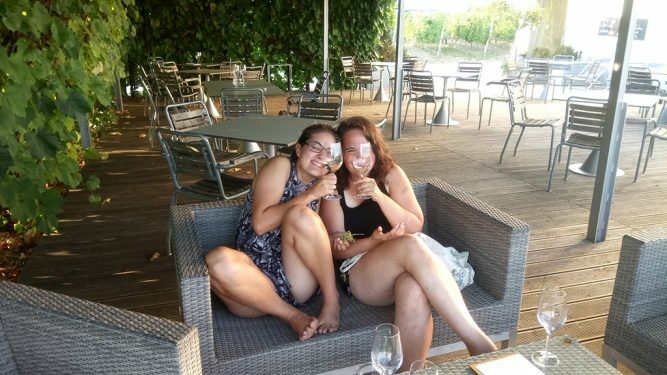 and enjoying…and more. 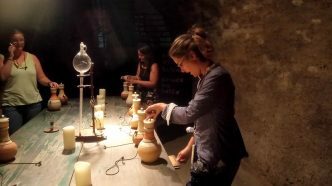 Enjoy this year’s Riverwalk 2018 video and sign the petition today! The text in the video is in German. Big thanks to the Riverwalk team and Elli for making the amazing video! 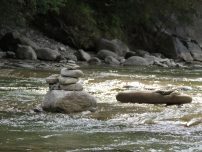 Soon, we’ll post 2 other Riverwalk videos from the Austrian team…stay tuned. Video is in German, but you can create subtitles by selecting “Settings” and Auto-translate and then choose your language. 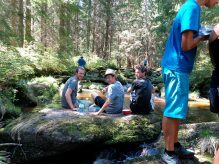 Below, you’ll find the blog posts from WWF Germany Jugend’s first-ever Riverwalk! 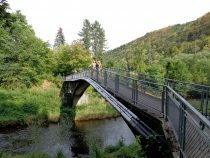 August 8, the first-ever German Riverwalk began! 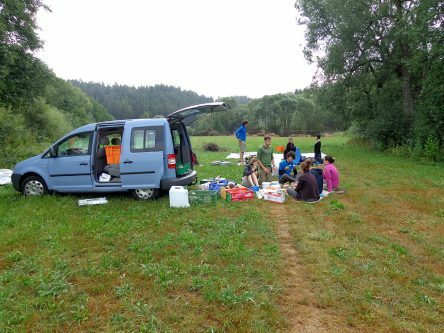 The team met after some hours in train, bus and a first walking part in Oberammergau to a sports field, where we had the possibility to put up our tarp for two nights. 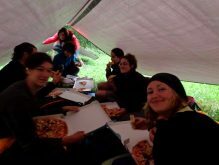 After a relaxed afternoon where we got to know each other, bought something to eat and cooked very interesting green-coloured, but tasty curry, we put our tarp building skills to the test for the first time. 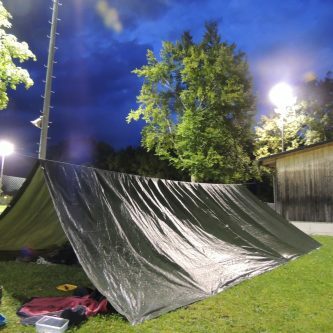 Question: would we be able to sleep outside for the next nine days under our tarp? 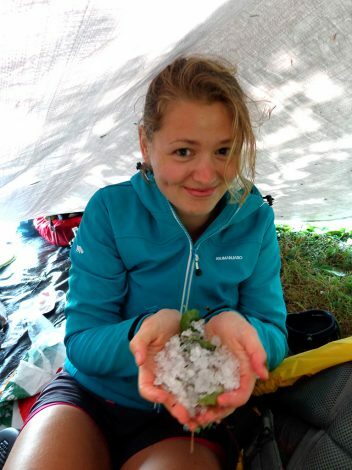 It started raining and because of the stony ground, water started flowing inside the tarp! Moreover, the wind blew more rain inside the tarp too. 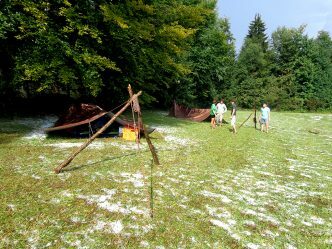 Thanks to our improvised constructions, we stayed dry during the night, but the meadow became a marsh. After a night where even the outside-sleepers stayed dry, because it stopped raining quite soon after going to bed, it just began again the next morning. We started quite wet in our shortest and first real walking day. 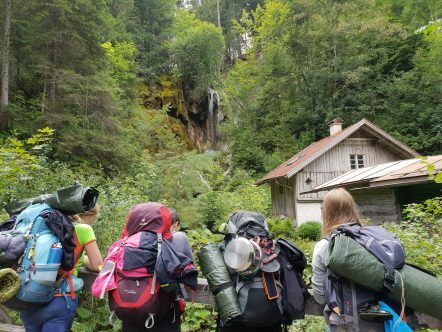 Having very heavy backpacks and being wet, the motivation was not that high, and we all were thankful when we arrived around noon in Unterammergau, where we had the possibility to stay inside a gym. 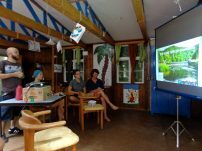 It was like being back in our old school times, and we had our first input-presentation from Ronja, who took part in the planning team. She told us something about the European Water Framework Directive, its goals and actual problems. 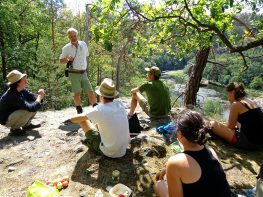 The afternoon continued with some input outside: We met Martin Kleiner – group leader of a local group from the “Bund Naturschutz” (Union for nature conservation). 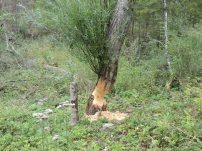 Going back to the Ammer again, he told us many interesting things about a “nature conservation conflict” at the Pulvermoos. 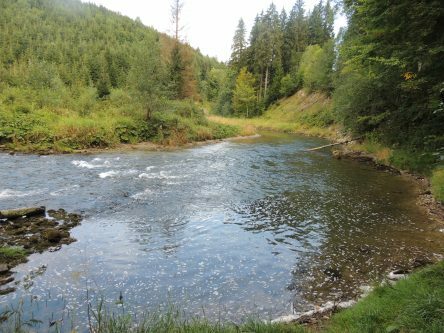 Over a hundred years ago the Ammer had been straightened and because of that a marshland with high biodiversity developed right next to the river. 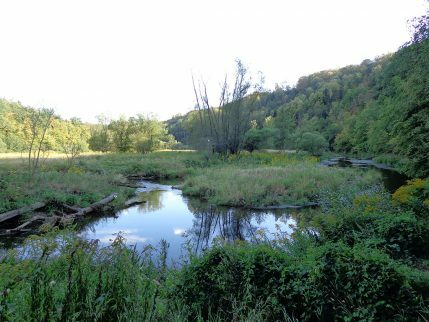 There are discussions to restore the Ammer to its natural state but this would mean destroying the marshland. 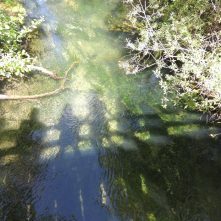 Not changing anything means, however, that the river remains in a straightened channel without its natural flow dynamics. What to do? 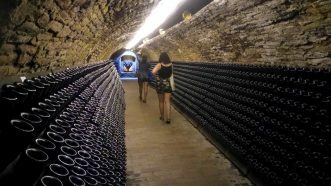 Post 2: How to deal with… too many people visiting the Ammer? 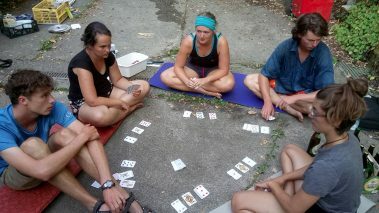 The fourth night was dry for some in- for others outside and even in the morning the sun was shining! 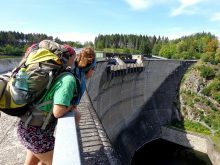 We started with high motivation and we made half of the way quickly along the still straightened Ammer. 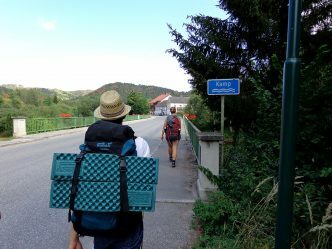 In Altenau we lost the path for a moment, but we found our path outside the village and that it was from now on climbing over green hills. It was more exhausting to walk there, but we had a beautiful view over the mountains of the Alps from where we came. 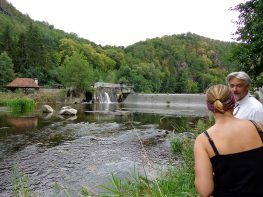 We stopped for a lunch break close to the Kammerl – one of the two hydroelectric power stations on the Ammer and next to the Ammer’s gorge. After this relaxing break, we entered the gorge. 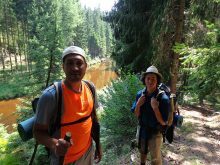 After a while of walking up and down but not always so close to “our” river, we met Gerhard Hofauer – a ranger in this area. 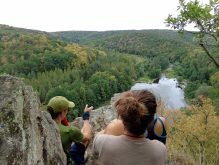 He told us many things about nature protection in the Ammer’s gorge: why it is not allowed to visit some special zones here and which problems are brought here because of having too many tourists. 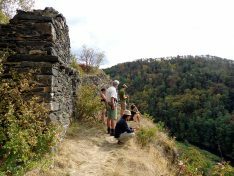 After talking and hiking for a while away from the Ammer, we then came back down into the gorge at the Soier Mühle (Soier Mill). 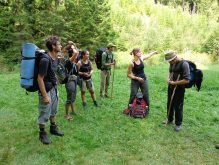 From there on, we just had one last ascent to reach Bad Bayersoien, where we had the possibility to camp close to a lake. 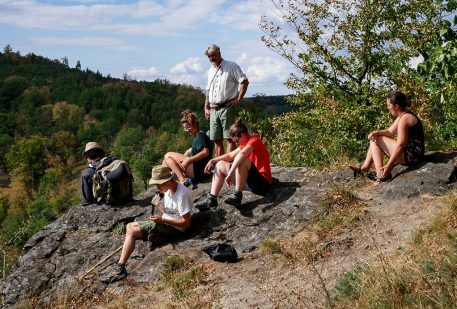 We were greeted by the mayor Gisela Kieweg and Susanne Lengger, who works for the tourism association Pfaffenwinkel, and sat together and talked about tourism and some solutions so that nature will not be destroyed but people will still have the possibility to visit it. 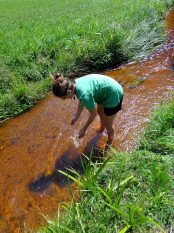 We realized that it’s a challenging dilemma, and we found out that there is not “the” perfect solution. 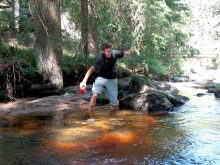 That evening, we also got some input about the way to walk – nice points to see and where we should take another path. Again it was quite much input for the day, and when we went to bed is was already cold. 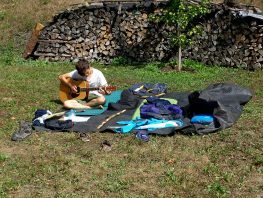 It was the coldest of all the nights and in the morning, we used the sun-heated tarp to sleep out quite long that Sunday morning. 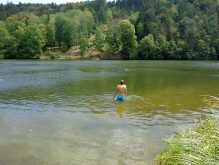 We made a barefoot walk around the lake, went swimming and chilled during the rest of the morning close to the lake. 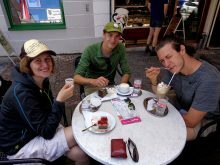 We took full advantage of the sunny day and because we only had 6 kilometres to walk, we could take the time to relax. 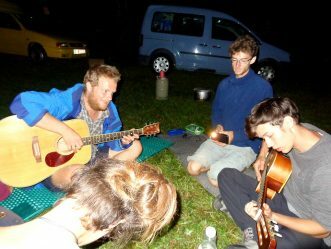 We stared walking and arrived early at the campsite in Rottenbuch and had some free time during the afternoon and evening. Starting in a new week, and it became a little bit more exhausting as the sun left us again. 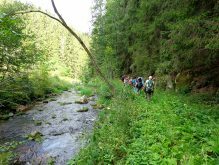 We started to walk again down into the gorge to follow the Ammer in more ups and down until the Kalkofensteg, a small bridge at a much known place where it is allowed to swim in the Ammer even if it is in a nature reserve. 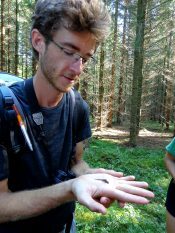 We waited for Mathias Fischer from the local WWF office in Weilheim, who came to tell us something about the renaturation project “Schnalz”. As soon as he finished talking, the sky got dark again and a thunderstorm came closer and closer. 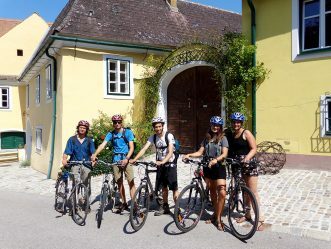 Some of our group decided not to walk but to go by car with the film team already to Hohenpeißenberg. The rest of the group was quite lucky, because after ten minutes, the sky got clearer and it was just drizzling a little bit. 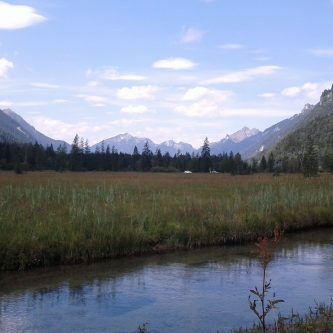 The last one and a half hours of walking was quite nice. 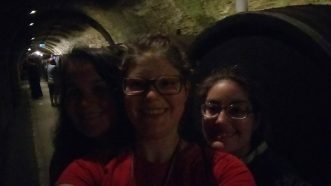 After being quite wet in general, we were all quite happy, to have the possibility to sleep inside at the “Haus der Vereine” and to dry our clothes. 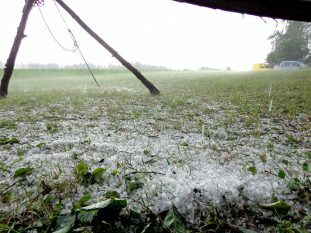 On Tuesday, we woke up dry, because of being inside, but as soon as we started walking, it began to rain again. 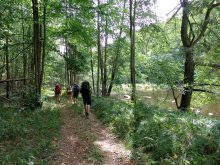 Away from the Ammer, we walked through forests along the “Hoher Peißenberg”, a mountain next to the Ammer. 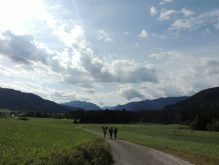 Some slippery ascents and descents could not stop us, so we arrived as the sun was coming out behind the clouds in Peißenberg. At the campsite there, we found a very nice place to sleep. The neighboring campers, asked us what the heck we had built up. 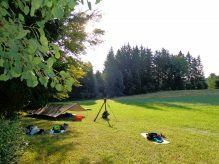 “Well, obviously, it is a tarp and no, it is not too cold to sleep under it and yes, we stay dry too.” Answering some questions and going to the Ammer, which was next to the campsite, we had a cool evening there. 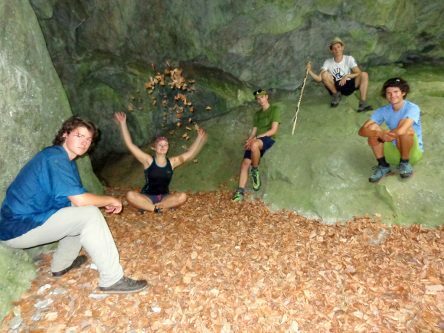 Having passed through the Ammer’s gorge and being some kilometres away from the Alps, Thursday was not that exciting regarding the nature experience. 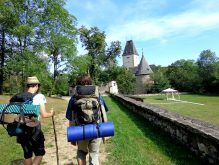 We went along the more or less straightened Ammer to Weilheim, where we had the possibility to use a house and garden of the Scouts to rest for one night. 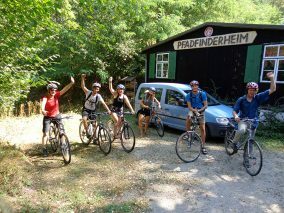 It was the last night close to our river, because on Thursday we already started our last leg, from Weilheim to Riederau. 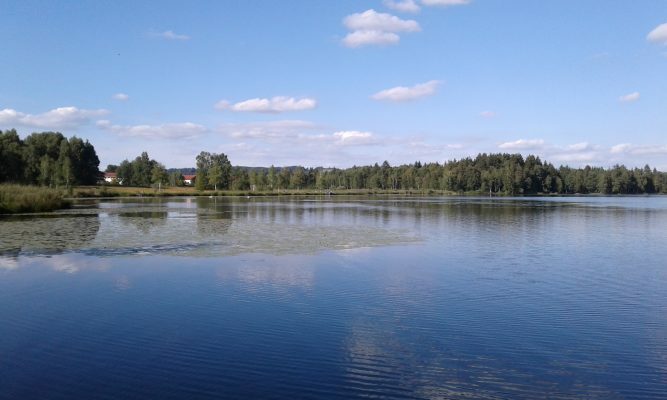 We were only 20 km until the Ammer Lake, but because the Ammer has no real mouth, it just ends in a lake. 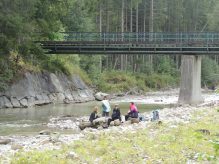 The water (and river) leaving the lake at its north again is then called Amper River and it eventually meets the Isar River close to Munich. 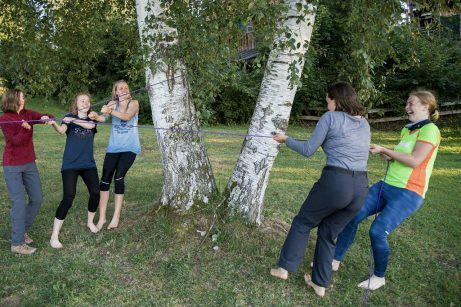 Reaching our goal much faster than expected and with singing songs, listening to music, guessing animals beginning with a,b,c,… and of course talking, we arrived early in Riederau. 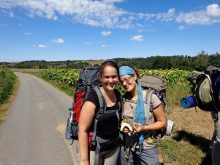 The last three kilometres, however, took us much more energy than we thought. 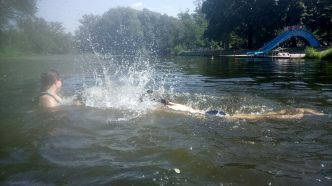 First, after we arrived in the garden of the couple that gave us the possibility to sleep at their propriety, we went swimming in the lake. 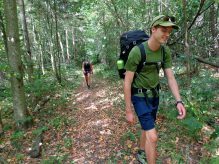 Not carrying the heavy backpack anymore, we felt just free. However, that was not the very ending of our story. 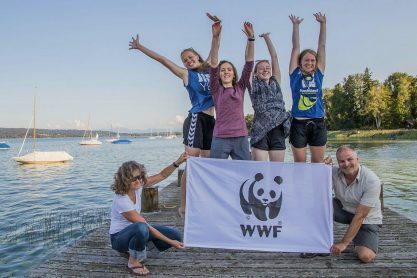 We spent the afternoon with the film team and Sigrun Lange and Wolfgang Hug from the local WWF office in Weilheim. 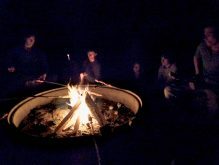 Listening to some last words about the Ammer’s role in the area, we got even more input on the last evening. 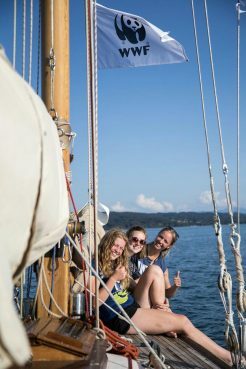 Being at the Ammer’s Lake, we were invited to have a short trip on a sailing boat from where we were again able to look at where we came from – the mountains of the Alps. 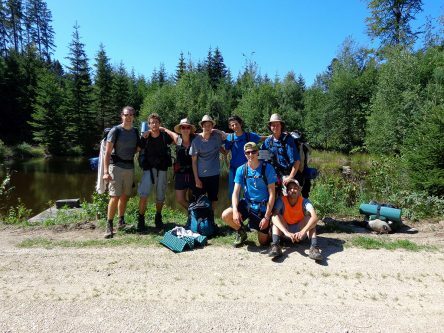 Being back on solid ground and again back in our group of just the Riverwalkers, we put our sleeping bags in the grass under the stars – without building up the tarp and luckily even without rain. 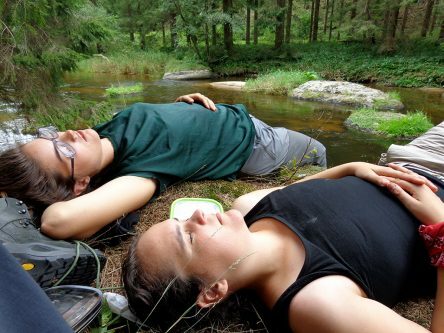 After more than 110 km, we fell happily asleep. We had made it. 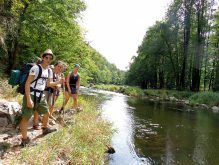 We finished the first-ever German Riverwalk along the Ammer! 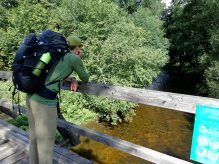 Not 1 but 2 Riverwalks in 2018!!! Get ready for some exciting news! 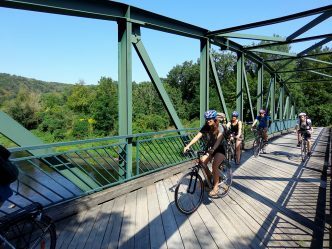 It’s official, there will be 2 Riverwalks this year! 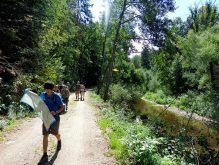 WWF-Germany’s “Jugend program” proudly presents their first Riverwalk to take place along the Ammer River in Southwest Germany. 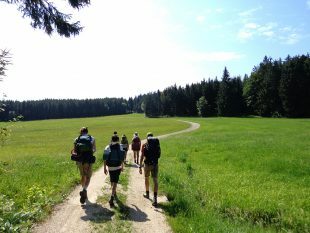 And you can take part and walk with them – 92 km and 10 days along the beautiful Ammer River! Where? 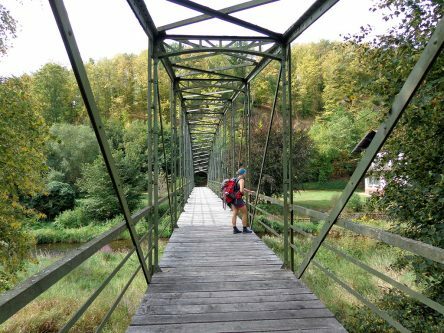 Southwest Germany – along the Ammer River. 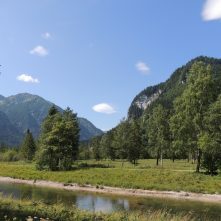 We’ll start in Ettal and walk along the river until Dießen. Why? 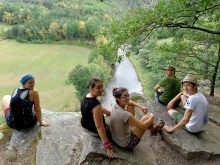 We would like to give you the opportunity to discover together with other young people the Ammer and its natural beauty. 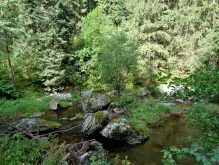 However, our goal is not just experiencing this beautiful region but also why the Ammer is endangered and how to protect it. 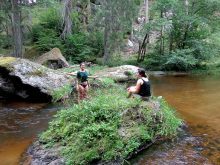 Seeing the problems and learning something about possible solutions, we will also get in touch with the EU Water Framework Directive learning more about it and its importance for living rivers, because healthy rivers all over Europe. 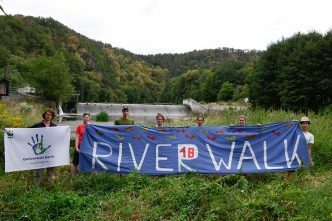 And that’s why we are walking – for our rivers! What? 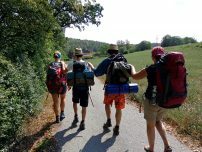 You can expect ten exiting days, sleeping outside under a tarp, hiking every day along the Ammer, cooking together for ourselves, connecting each other and learning more about the Ammer, the EU Water Framework Directive and ways to protect such amazing rivers. Who is organising this? 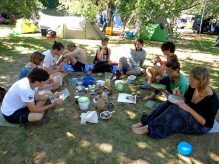 We are young members from the WWF Jugend in Germany organising quite often campaigns on local and national level. 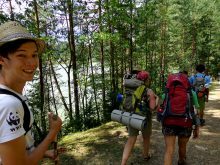 There’s still time to apply for the (5th) Riverwalk team 2018. 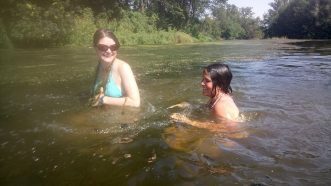 Have you Riverwalked? If you have, you know that it’s life changing! What? 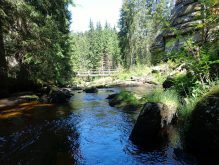 13 days of hiking through the Waldviertel and following the Kamp River. 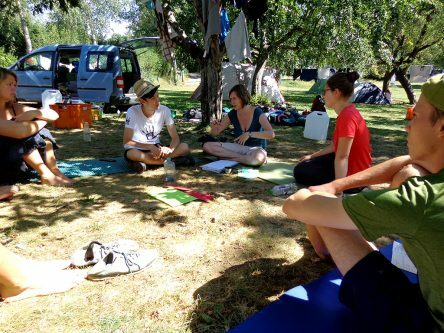 Spending time with a group of amazing people – in nature, sleeping under the stars, cooking and living together, walking, biking, swimming…and protecting Europe’s rivers at the same time. 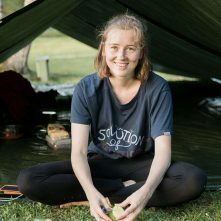 But that’s not all…workshops on personal development such as teambuilding, political engagement, getting active, leadership, conflict resolution, navigation, etc. 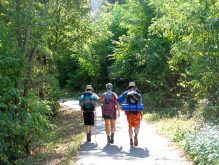 Ready to get a little wild?Then, sign up for this year’s Riverwalk!